Melissa Cosentino has had one dream for as long as she can remember: working to improve the lives of seniors. She grew up with a strong relationship to her Grandmother Mimi, which inspired her to begin working with older adults in high school. When she went on to college, she knew she wanted to study gerontology, social work, and health care management. She had found her passion -- advocating and caring for the senior population. 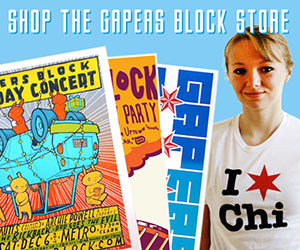 That passion led to the development of her growing Chicago-based charity: One Dream. The organization fulfills the dreams of low-income seniors by providing them with an experience they have desired, but do not have the means to pay for. Cosentino created the organization because she has seen first hand the crushing effects of senior poverty. "The more I've worked with seniors the more I've seen cases of senior poverty, which is a huge problem," she said. "There's a recent study that shows that almost half of America's seniors have low incomes below 200 percent of the poverty level, which means they're struggling to make ends meet. By 80 years old, that number jumps up to 60 percent of the senior population on low income." Senior poverty is a growing problem in the United States, with 45 percent of America's retirees living in poverty as of 2013. Cosentino fears that as the baby boomers age, senior poverty will spiral out of control. "It's scary to think about!" she said. "With baby boomers getting older, in the next five years we'll have almost 15 million more seniors in America. Considering there's roughly 40 million seniors now that's a 37.5 percent increase, so this is a serious problem and getting even more serious." So where exactly do these numbers come from? Well, according to a recent report released by the Kaiser Family Foundation, while the official measure used by the federal government claims only 10 percent of seniors are currently living in poverty, 33 percent are living within 200 percent of the poverty threshold, which is an annual income of $11,354 for a single senior and $14,309 for a household of two. This official threshold also does not take into account out-of-pocket medical costs, which can comprise a large portion of seniors' expenses. Therefore, the Supplementary Poverty Measure (SPM for short) was recently created to address this issue. It deducts out-of-pocket medical expenses from a senior's income, creating a more realistic picture of those who are in poverty. Under the SPM, 15 percent of America's seniors are living below the poverty line. Forty-five percent are living within 200 percent of the SPM poverty threshold. For a household of one, this means an annual income, after medical expenses, of $22,714. The numbers are a bit different in Illinois. Under the official poverty measure, only 9 percent of Illinois' seniors were living under the poverty line between 2011 through 2013. But when using the SPM, that number increases to 15 percent. When looking at those who live within 200 percent of the official threshold, 31 percent of our state's seniors were living near or in poverty. That number was 44 percent when using the SPM. These numbers mean our seniors are living in fairly dire straits. As the cost of nursing homes and medical expenses keep increasing, many seniors are finding themselves without the necessary funds to support themselves, let alone have the luxury to have the once-in-a-lifetime experiences they deserve in their "golden years." That's where Cosentino and One Dream come in. She networks with her colleagues in the senior living industry and other contacts to find seniors who have a dream experience her organization can fulfill. The One Dream team then calculate the costs of that dream experience, put the sum up on their site, and use crowdfunding to make a senior's dream into reality. One Dream recently made such a dream come true for Darlene Wilcher of Oak Park. As a lifelong Chicago resident, she had dreamed of what it would be like to ride in a helicopter through the city. But until One Dream stepped in, she never would have thought that would be possible due to her financial circumstances. Darlene has epilepsy, as well as other medical conditions, which have been difficult to overcome. 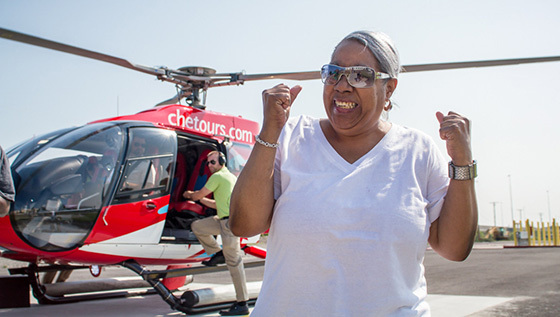 Two weeks ago, however, One Dream provided Darlene with the experience of a lifetime as she and two friends went up and took a tour of the city with Chicago Helicopter Experience, which had donated the ride to help make her wish come true. Other fulfilled dreams have included trips to Lyric Opera and a Cubs game. Cosentino explained how the organization determines the costs of each dream, such as Darlene's helicopter ride, based on its associated expenses. "If someone wants to attend a play, for example, we calculate the cost of handicapped accessible transportation (if needed), a nurse (if needed), food/drinks, tickets, and a small amount towards helping us to afford a photographer, videographer, and editor," she said. "All the expenses needed to fulfill the dream are called a 'funding goal.'" The next step, crowdfunding, is the crucial piece of the process to ensure the senior's dream is met. In-kind donations also play a large role in reaching a funding goal. "We then will raise the necessary funds via online crowdfunding. If we get in-kind donations from sponsors, such as event tickets or donated transportation, the goal amount is reduced appropriately," she said. 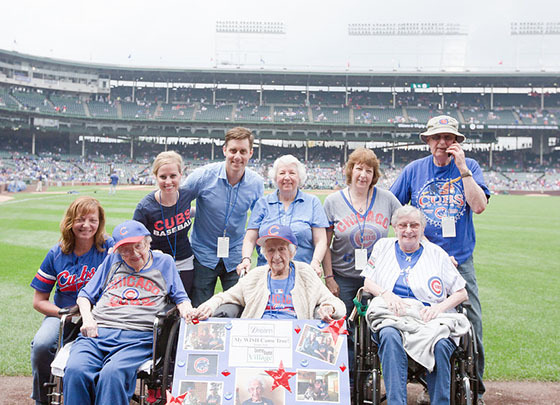 "For example, Lyric Opera of Chicago donated 92-year-old Diana's ticket to see the opera, The Chicago Cubs donated a few tickets for 98-year-old Louise's dream to see the Cubs play at Wrigley Field, and Chicago Helicopter Experience donated Darlene's helicopter ride." While finding company sponsors has tremendously helped achieve these dreams, One Dream is also looking to expand its current pool of citizen donors. "Thus far, our donors have consisted of friends and families, and people who are inspired by the seniors' stories," Cosentino said. Cosentino's dream has come true as well, as her organization has expanded. "As sappy as this sounds, my 'one dream' comes true each and every time I witness someone getting their dream fulfilled," she said. "I have daydreamed about fulfilling senior dreams for a long, long time, and to see them finally happening is a magical experience." One Dream is always looking for qualifying seniors who have a dream they'd like to see come true. The organization is also currently looking for anyone interested in volunteering for the organization. 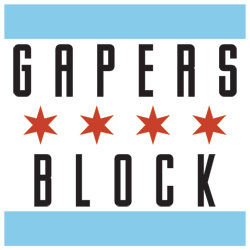 They particularly are in search of experienced photographers, videographers, designers, and marketers who can spread the word to find more deserving Chicagoland seniors with dreams the organization can fulfill. Visit One Dream's website to find out more. Although it's an uncomfortable topic, senior poverty will affect many people and I appreciate being reminded about the grim statistics. Unfortunately as boomers age and their savings are depleted, many will face daunting times ahead. One Dream is a shining star that will hopefully reach many deserving seniors.